Yaarige Beku Ee Preethi Lyrics: Yaarige Beku Ee Preethi is a song from an upcoming 2017 Kannada movie Dalapathi, directed by Prashant Raj. Dalapathi features Lovely Star Prem, Chikkanna, Kriti Kharbanda and others. 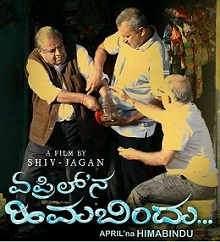 Aananda Audio is the music label of this movie. This song was composed by Charan Raj with lyrics penned by Prashant Raj.